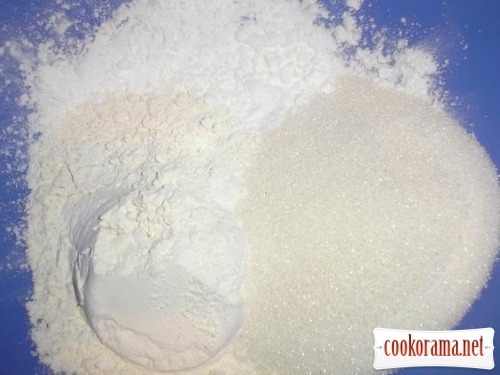 Mix flour, starch, sugar and baking powder. 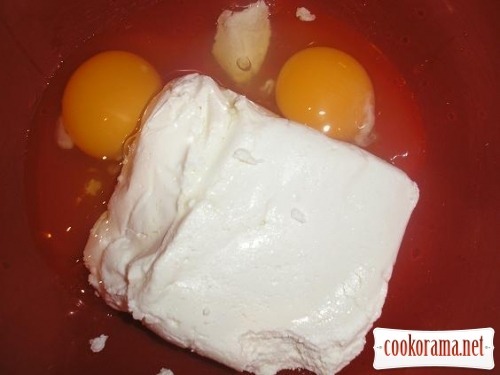 Grate butter and mix with curd. 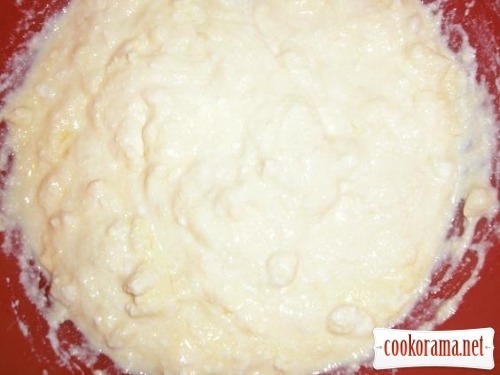 Add flour and stir all well. 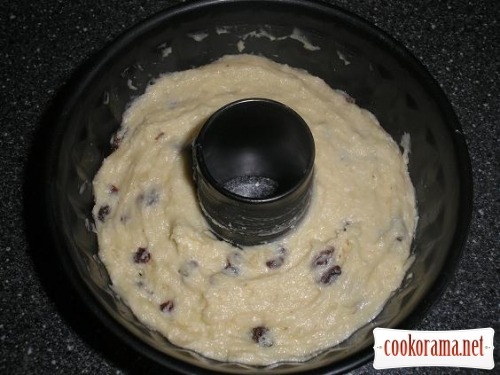 Add washed and dried raisins. Spread mass in form. 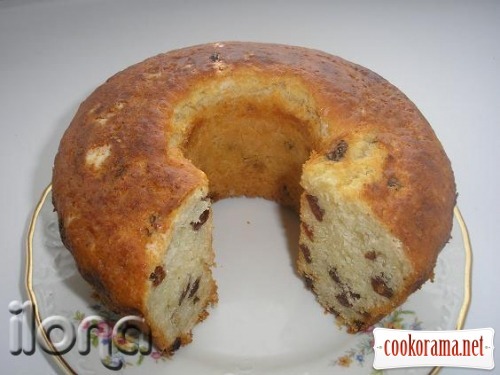 Top of recipe "Cake with raisins"
Очень люблю изюм в кексах — напоминает детство!